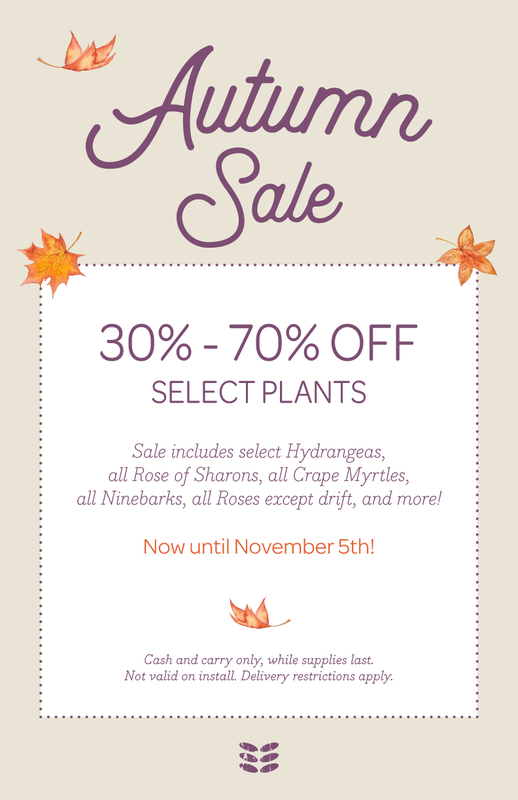 30% – 70% off select plants now through November 5th! …Because Fall is a fine time for planting! Cash and carry only, not valid on installation, delivery restrictions apply. See store for details.